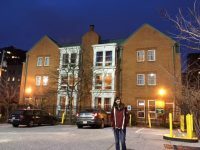 Danielle came to The Children’s House at Johns Hopkins when she was five years old. 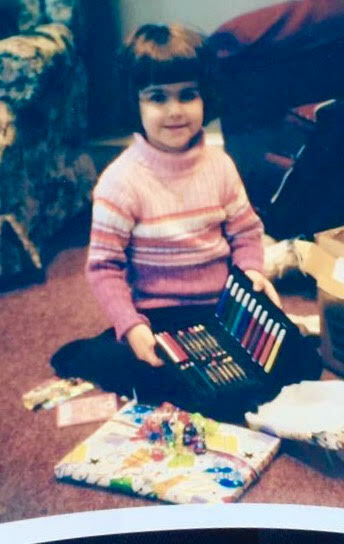 She came to us because her extremely rare cancer had unfortunately spread to her brain. Her parents knew that she needed to be treated by the experts at Johns Hopkins. 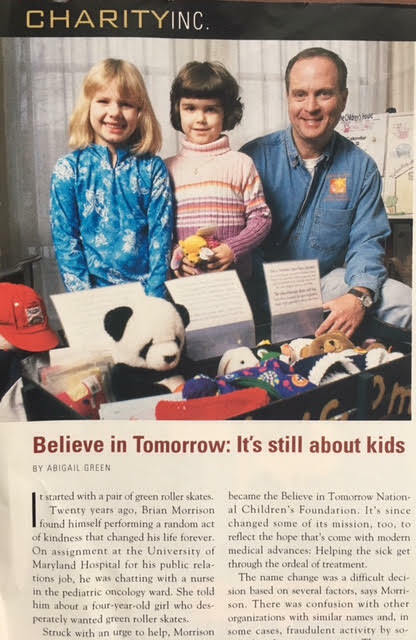 So, on the day of the 2003 Blizzard surrounded by 28 inches of snow, this brave and hopeful family from Florida checked into The Children’s House at Hopkins. Buoyed by the excellent care she was sure to receive at Hopkins, they were not prepared to hear that she had only a 5% chance of survival. Her family was told to prepare her eulogy. Nothing was going in the right direction for this little family. Danielle and her family stayed at The Children’s House for two months, facing surgery, an in hospital stay and radiation, an uphill battle all the way. As Danielle’s mother said, “the darkest part of our lives still managed to feel normal and so comfortable at the Children’s House…the pet therapy dogs (Jesse especially), meals, mail, movies, were all things we would have lost out on in our own home during that time.” Gradually the tide turned and Danielle and her family returned to Florida. 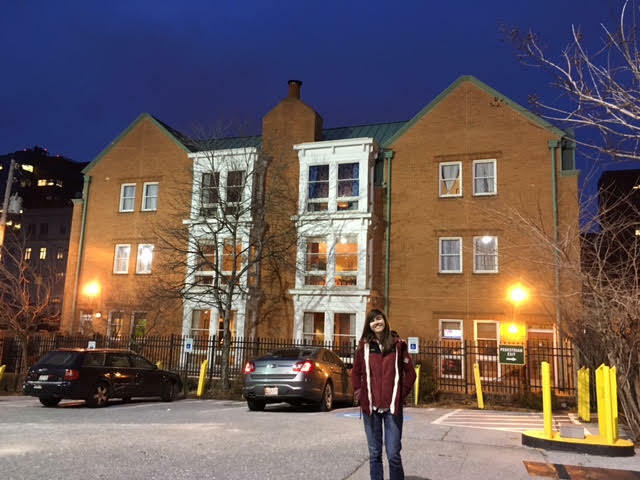 Due to the amazing care that Danielle received at Johns Hopkins, she recently visited The Children’s House as a healthy 19-year-old! As a college sophomore at Florida State University, she still has follow up appointments with Hopkins on a regular basis. Each time Danielle comes up for appointments, she tries to stop by The Children’s House to say hi and see how things are going. Danielle freely states that her stay at The Children’s House was great memory for her. She had fun, yes she was at Hopkins each day during her two month stay, but the fun she had when they came to The Children’s House at the end of each day, trumped all the memories of her time at the Hospital. Danielle’s mother says that Danielle is a fearless, hope-filled, young adult, studying at FSU with the hopes to be a genetic counselor in order to work with families and children with cancer. 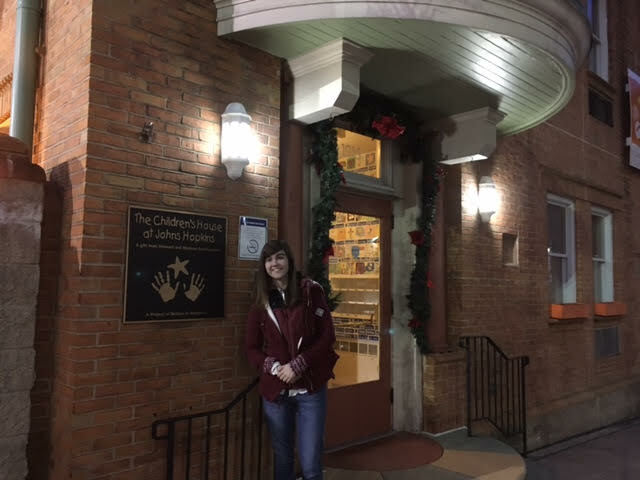 She said that they “were all loved and comforted as much as we possibly could have been” during their time at The Children’s House, which made a lasting impact on Danielle, as evidenced by frequently returning to The Children’s House.